Founded in 1965, Early American Literature is the journal of the Division on American Literature to 1800 of the Modern Language Association. It is the only journal that focuses on the scholarship and criticism of American literature through the early national period. It typically includes six essays, an essay review or forum, and several book reviews. For more information, visit Early American Literature‘s website. 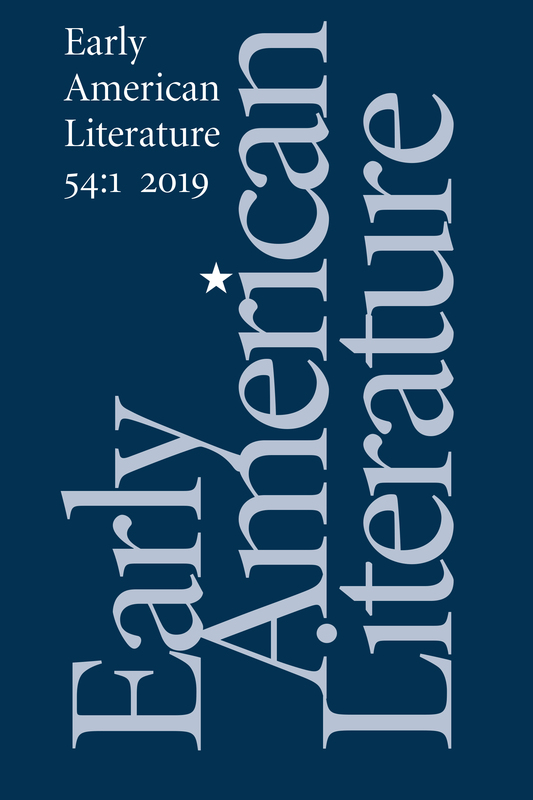 Early American Literature has been adopted as the official publication of the Society of Early Americanists. Members receive a subscription to the journal as a benefit of membership. For more information, visit our membership page. Marion Rust is Professor of English at the University of Kentucky. She received her undergraduate degree in comparative literature from Harvard and her PhD in Modern Thought and Literature from Stanford. She has published two books about Susanna Rowson and numerous articles and essays on topics ranging from gender and the personal voice in early Americanist scholarship (American Literature and Legacy), to concepts of intellectual property in the early republic (Studies in American Fiction), to empire studies (Women of the Early Americas and the Formation of Empire) and mass psychogenic illness (Common-Place). Camera ready copy or PDF only. All copy is subject to approval by editor who reserves the right to cancel/reschedule advertisements. $100/m for pressure sensitive labels or electronic file via email. Shipping charges not included. Allow three weeks for delivery. $25.00 additional charge for rush order.